We just updated redshirt with a galactic-ton of updates and improvements. Just re-download to get the new version, if you have already grabbed the pre-ordered beta from here. Now reduced to 160 days till the end of the game. NPCs now have a variable for how often they check Spacebook. This defines responsiveness to status updates/wall posts/private messages. NPCs will now check their Spacebook messages and sent friend requests more often! How NPCs are feeling is now made more clear, especially after events/work/end of day. Higher likelihood of receiving a Spacebook message from NPCs. NPCs are no longer so hesitant about how many times they post about one person in a given day. Romantic partners feel neglected if you don’t go on specifically romantic dates with them — they might message to let you know! Now possible to die from too many sickbay visits close together. NPCs get upset about one-way messaging the player. Station settings page on character creation — ability to define personality breakdown of NPCs (now have 5 fixed personality attributes in addition to previous 6 variable ones.) — personality attributes reflected on profile page. — applying for jobs if you’re the wrong species. — all relationship adjustments are reduced by 75%. — liking a bigoted status means relationship minuses with friends of targeted species and other non-bigoted friends. — whether they accept your friend request. — how they feel about going to events with people of a different species, etc. — How likely they are to post statuses & messages. — How likely NPC is to do an event which they’re not usually interested in. — Makes for a more extreme personality — adds modifiers to everything! — More likely to fall in love. NPCs have one interest which they are very unlikely to ever change. NPCs are now more likely to fall in love. Being more effective at work doesn’t mean you get modifier to negative attributes! — FIXED BUG: Repairing item in SHOP doesn’t send you to top of SHOP. — Ability to recycle items for 10% of their value if used up, or for however much time is left before it expires. NPC rejecting an event invitation no longer gives two seperate hits to relationship. Dead NPCs no longer invited to events! Hurting someone you’re friends with (insults, romantic infidelity etc) now adjusts relationship proportional to how strong the relationship used to be. Can now buy extra actions at any time of day. Fixed bug: new characters would sometimes accidentally share profiles with other characters. Ambassadors are now rank 15. Filled out all remaining content for random work shift occurrences. Aspiration window now shows the rewards for completing the aspiration. Fixed bugs with switching recipient of a message while on message compose page. Buying SHOP items now takes up 1 action point. Visible SHOP Items and events are now limited by your current rank. Linked skill/interest/etc requirements from career tree window. Spacebook events/work outcomes text now skippable. Being in a supervisor position adjusts relationship with the coworkers supervised. Playing as Asrion means extra unwanted attention from various characters. Being tagged in Spacebook status of any kind now properly adjusts relationship. First instance of ‘What is this thing called love?’ aspiration to be in a relationship with already-friended NPC. So… I am feeling more motivated about this. The plan is basically to have 3 options in the Democracy 3 mod screen. one is the mod panel which lets you enable/disable mods as right now. This will be in ALL builds of the game. Steam builds will get 2 extra windows. ! will browse steam workshop entries for the game (I haven’t even started that yet) the other will handle submitting new mods to steam workshop. Right now, I haven’t even implemented a single steam API call for this, but what I *have* done si the rather tedious step of doing the GUI for submitting a mod. That is 90% done, but the back-end stuff is only half done. By back-end, I mean the stuff I have which will actually pass the mod data onto steam for uploading. Why do I need an intermediate layer? Well basically steam workshop and cloud save work with individual files, and Democracy 3 mods are NOT individual files. You might have 36 policy icons, some csvs and some text files in your mod, and this doesn’t play nice with steam. Arghhhh! So I am coding a completely hidden-from-the-player translation system which (once you have selected your mod folder) , packs all of those files and their filenames and directory structure into a single packed file, and then submits that to steam workshop. Then the reverse happens with installed steam workshop mods. I haven’t started that bit yet, but the GUI and the packing is done, more or less. I’ll finish it tonight. I’m at ComicCon Saturday, then hopefully Sunday I can finish the Steam back-end and actually have the game submitting real live steam workshop mods. In practice Tuesday I am involved in ‘family things’ so realistically it will be Thursday/Friday, if that doesn’t clash too badly with ExPlay in Bath, where I’m giving a talk. Holy crap when do I write the talk?. I may have to miss Downton Abbey at this rate! Dang. 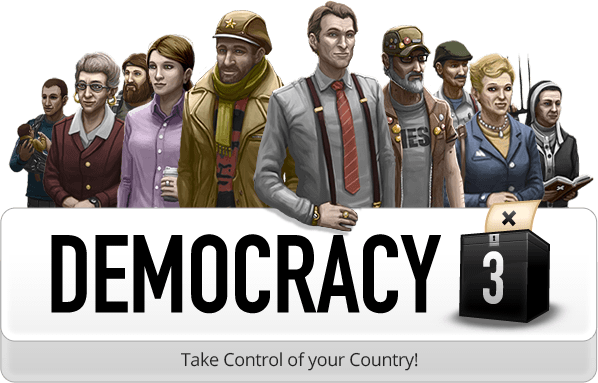 I ad hoped to get steam workshop support in to Democracy 3. however, today is the first time I’ve really looked into it in any depth, and unfortunately it doesn’t seem ideal for the kind of modding Democracy 3 is based around. It is ideally suited for games with a built-in editor, with a publish button that then publishes games to steams cloud save, and which can then be grabbed back from cloud save too. This is problematic. Mostly because D3 is edited primarily in Excel or other spreadsheet / csv editors. And it involves making new graphics using graphics programs, and generally it involves putting together a collection of 20 or 30 files for a new country, and uploading them as a group, not a single file. To add to the woes, Steam workshop obviously would be separate to my existing efforts to support modding, and is obviously only for steam users. Sometimes thoughts like this lead to a spiral of 18 hour work days and depression, sometimes they lead to 3 hours work, and a great feeling of achievement. You never know till you try it. Fixed broken interest rate code that allowed negative interest rates. Fixed bug where the political compass only recorded the first 50 entries instead of the last. Increased the top cost of national service from 80 to 1000. Fixed issue where consumer rights affected self employed group twice. Effect of GDP on environment increased and made non linear. Effect of science funding on technology made slower. Effect of technology colleges and grants on technology made slower. Carbon tax hurts GDP more and the effect is now non linear. Global Economy now affects oil demand. Immigration now affects state housing cost. Effects of state health service,schools,pensions and housing on socialist membership all reduced. Effect of foreign aid and legal aid on socialist happiness reduced. Disability Benefit now upsets capitalists less and reduces inequality less. UK now starts later in the global economic cycle. Removed some redundant effects that boosted technological advantage too much. Effect of recycling on environmentalists reduced. Effect of pollution controls on environmentalists reduced. Productivity can now raise or lower unemployment. Support for new system of player-overrides that take effect globally. Support for mods to have global overrides. Added new simulation value of Currency Strength. Minister loyalties now get a slight boost after each re-election. New option to have randomised mission start values in the options screen.